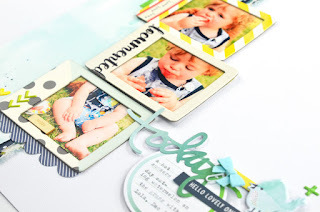 I am playing catch up on my blog at the moment and sharing a lot of layouts I have created in the last month using the amazing May Hip Kits. 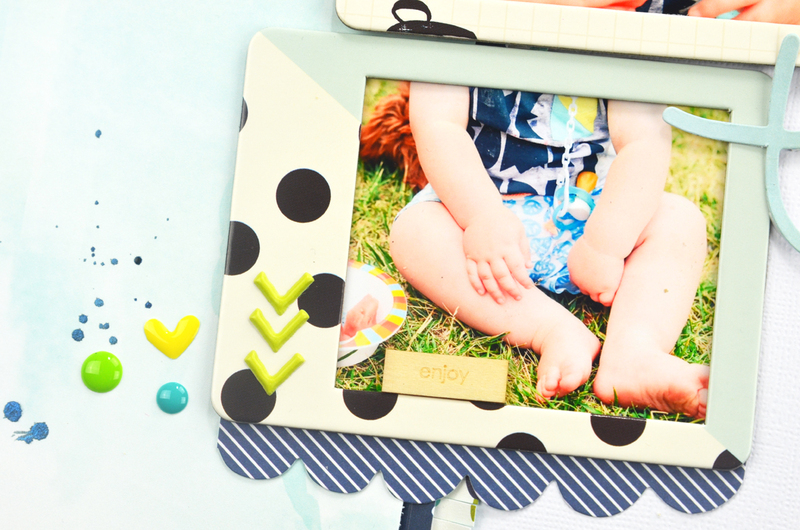 I wanted to focus a little on the gorgeous Simple Stories frames for this layout, so chose these sweet photos of my little man to document. 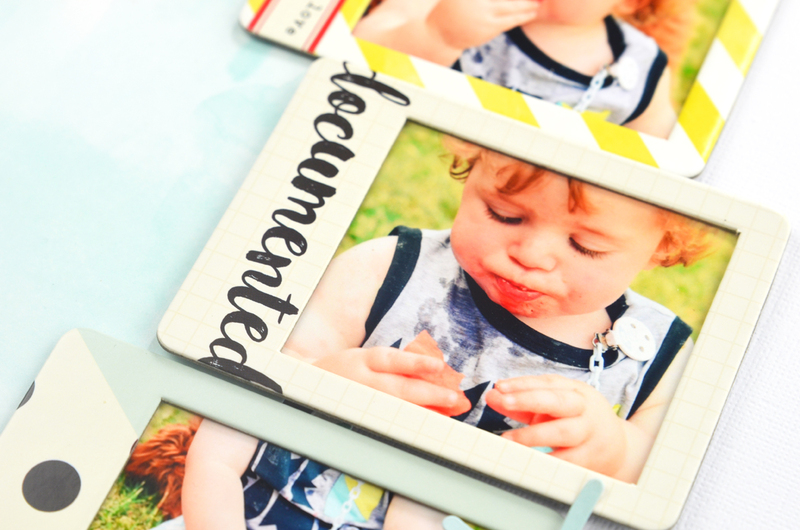 I applied the Simple Stories Life Documented frames to border the cute Summer photos of my son eating watermelon and arranged them in a vertical design on my page. To embellish the page I used a combination of the exclusive die cuts, acrylic pieces and puffy stickers, the Jillibean Soup wood veneer and sequins, Bella Blvd felt bow, and finished with the Echo Park PaperSummer Party enamel dots. 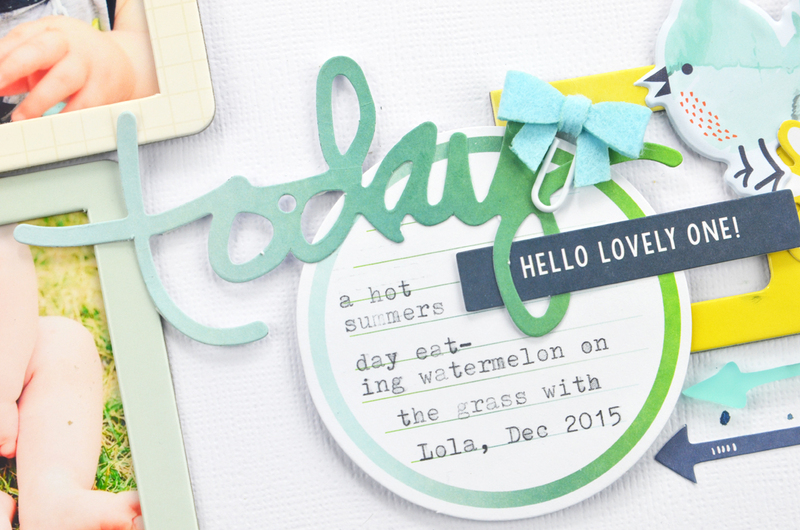 I typed my journaling straight onto the exclusive die cut through my typewriter. 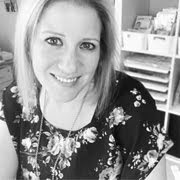 I need about 50 more of those Bella Blvd bows! I felt that the page needed some grounding, so some vertical strips to the left of the layout was able to do that. I used a Hip Kit exclusive paper by Kim Watson and 2 papers from Jillibean Soup Healthy Hello Soup (one of the papers I even fringed with fringe scissors for extra detail). I added a touch of Navy Heidi Swapp colour shine and some smaller embellishments to the left of the bottom photo. I wanted the middle photo to stand out so I added that to the page with foam. 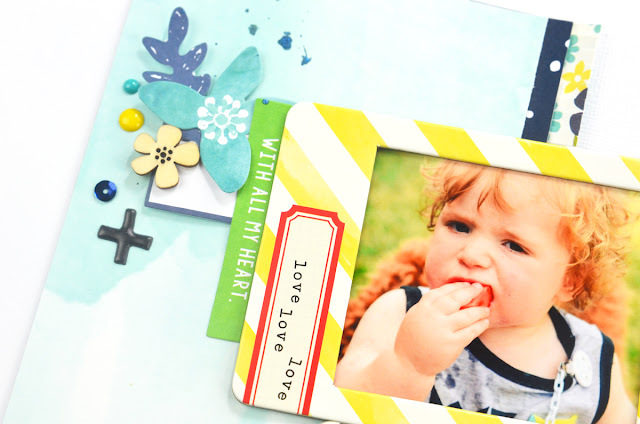 I just adore that you can draw out and create with so many different colour palettes from the one month of kits! 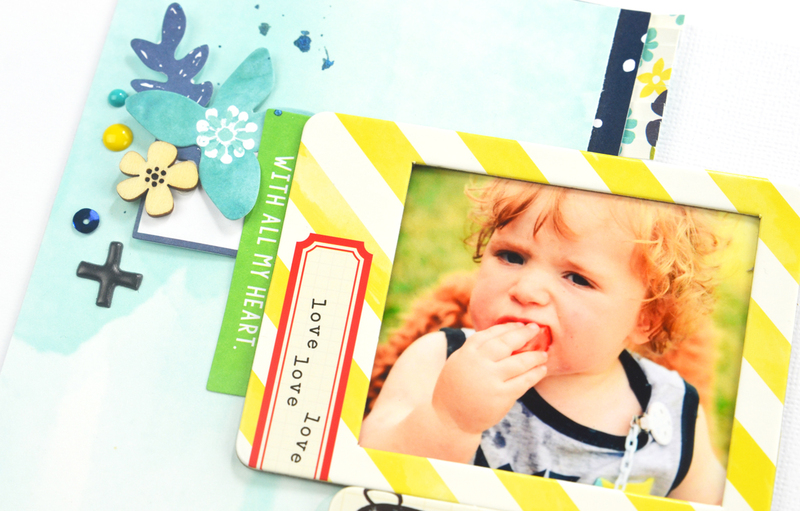 See you on the blog next week with another layout using the May kits!